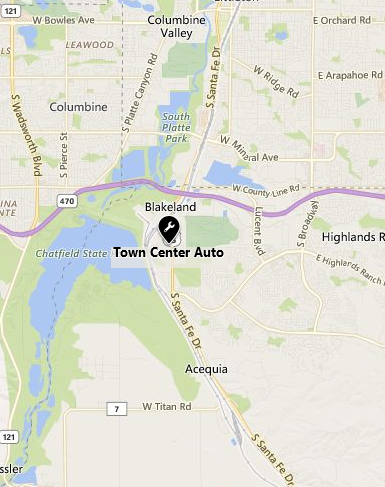 Highwoods Auto Repair by Town Center Auto! Bring your car to us & let us treat it right! You will be amazed at our loving care of your vehicle! Were right off of C470 & Santa Fe, just a little South of C470! Highlands Ranch, Colorado 80125 8057 Carder Ct.